A MORE spacious and better camera booth is now ready to serve Kapampangans after Canon Philippines opened its concept store at SM City Pampanga over the weekend. Dubbed as the Image Square, the Canon booth located near the entrance to the mall’s Cyberzone section offers a wider variety of Canon products — from DSLRs, point-and-shoot, mirrorless and other digital cameras, lenses, and printers that would cater to the various needs of customers. 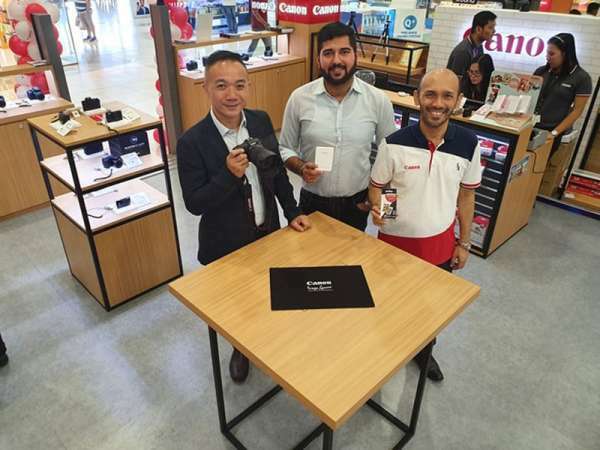 Canon assistant sales manager Roshan Daryani said the brand new booth serves as the showroom of the full line-up of Canon products, as well as a service center to assist clients on their after-sales needs. “The logic behind this is that after version 1.0, we jumped into version 3.0. This is a one-stop shop for all Canon lovers and from the input to the output, we have it all here because our goal is to provide everything our clients need the moment you step inside the booth,” Daryani said. Among the products offered at the Image Square is the new Canon EOS R and RP full frame mirrorless camera and its lenses—the first of its kind for the mirrorless system—which was launched in the Philippines late 2018. The Image Square is also a haven for millennial vloggers and social media influencers with a wide range of products that can cater to their needs including the entry-level flip-screen cameras and the Canon IVY Mini Photo Printer—a pocketable bluetooth/wifi connected printer. For the after sales needs, the Image Square fielded Canon genius personnel who are well-trained and educated can attend to the camera and even post-processing concerns of the clients. “The booth is really made for a wide-range of markets. We have products for professional photographers and even just the hobbyists who wanted to upgrade their skills in photography. The Image Square is basically covering all the needs in the camera industry” Daryani added.